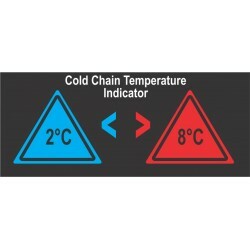 Cold Chain temperature indicators are used to detect if cold-chain temperatures are being maintained. 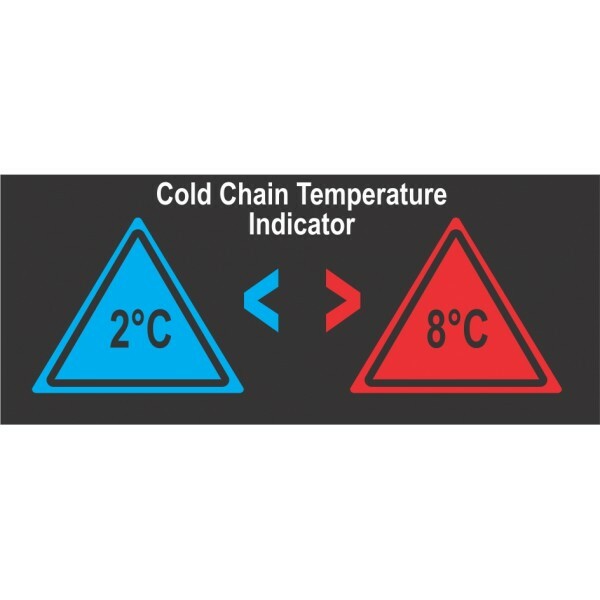 If the temperature is outside the cold chain temperature range then either a red >8°C or a blue <2°C is distinctly displayed. To use just peel the back and attach to a wall or rack in a cool room or refrigerated truck to quickly see if the cold chain logistics environment is being maintained.